The island of “eternal spring” has one extraordinary bonus which is the Tenerife temperature. Here you can find perfect conditions to play golf during the whole year. If you are a golf fan, you have certainly heard of the high quality golf courses in Tenerife. Apart from the fact that there is a great variety of places, according to many professionals the local golf courses are also among the best and most interesting ones. Golf Tenerife playgrounds belong to the most popular in Europe. The top golf masters designed and tested the courses during several years. Enjoy your game in the picturesque scenery of the Tenerife Coast, under the majestic Teide volcano of 3,718 meters high (the highest mountain of Spain). You can choose from numerous golf courses located all over Tenerife island. And if this was not enough, you can take a boat and sail to the nearby island of La Gomera. 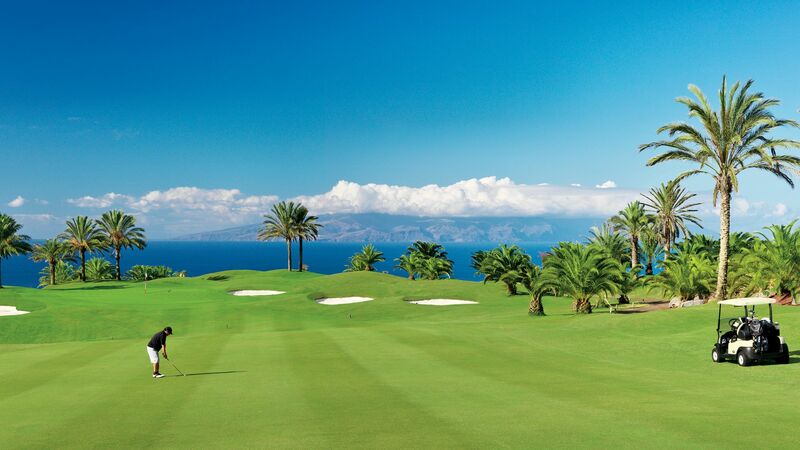 Just in less than one hour from the Costa Adeje coast you can find a new golf course called Tecina. La Rosaleda is a beautiful place surrounded by banana plantations with an excellent view of the highest mountain Pico del Teide and the Atlantic Ocean. The golf course exists since the 1998, and it was the first golf course built in Puerto de la Cruz. You should also bear in mind that it belongs to the most difficult ones in the Canary Islands. Los Palos Golf Center was built in 1994. It lies in the southern part of the island, near the town of Arona, and just 5 minutes from Playa de las Americas, Los Cristianos and Costa del Silencio. The idea of its design belongs to José María Olazábal in cooperation with Integral Golf Design. The course connects plenty of lakes and streams which create a beautiful landscape. The pitch suits particularly for beginners and for players looking for a short game or not having much time (local nine holes can be handled in an hour). Real Golf Club of Tenerife was founded in 1932 by British traders. It is the oldest playground in Tenerife and one of the oldest in Spain. It still features the typical English design elements of A. Alberto, A. Lucena, J. Layene and A. Yanese. This course is located in the north of the island, at an altitude of 600 meters above the sea level, so you have to count on irregular terrain and more effort at play. Despite its age it has all the required characteristics like relatively short eighteen holes, typical fairways and smaller greens. Golf Las Americas is a well-kept playground that exists since 1998. It is situated in the southern part of the island, right in the center of Playa de las Américas. Golf Las Américas offers optimal conditions in an attractive, less-wavy area. Thanks to its location, the course offers a great view of the entire resort and Atlantic Ocean. The creators even kept the remnants of the original inhabitants, the Guanches, which can be seen, for example, at the hole number 2. The author of this golf course is John Jacobs. The course has a lot of water ponds and ditches, with a nice sit in the original volcanic landscape. Golf del Sur lies right in front of the Atlantic Ocean, just 15 km from Playa de las Américas. Its playgrounds are surrounded by palms and gigantic cactuses, and the greens are admired by players of all levels. The Golf del Sur course regularly hosts international tournaments such as European LGA and LPGA. Amarilla Golf is another field located in a former banana plantation. Its architect Donald Steel used the jagged coast of the Atlantic to make the ocean a part of the original design of the pitch. The main wells at the bottom of the course are therefore a real treat. Amarilla Golf is a challenge for professional players, but also offering an attractive and enjoyable game to those whose skills are still on a lower level. Buenavista Golf can be found in the westernmost part of the island, between the natural park of the Teno Mountains and the Atlantic ocean. The design is made by a Spanish architect Severian Ballesteros, and is characterised by the immediate proximity of green and steep coastal cliffs. The amazing use of local terrain produces a feeling of throwing the ball directly into the sea. And the great view of the cliff puts a special touch, which makes your experience unique and original. Come and enjoy your Golf Tenerife holiday, discovering by yourself a great selection of golf courses of this beautiful island. And if you need a transport, you opt for a car hire in Tenerife with us, choosing from a wide range of models for any taste. The original inhabitants of the Tenerife Island – Guanches – gave this mountain top a name of “Echeyde” or Hell. According to them, the inside of the volcano was an empire of the demon Guayot. 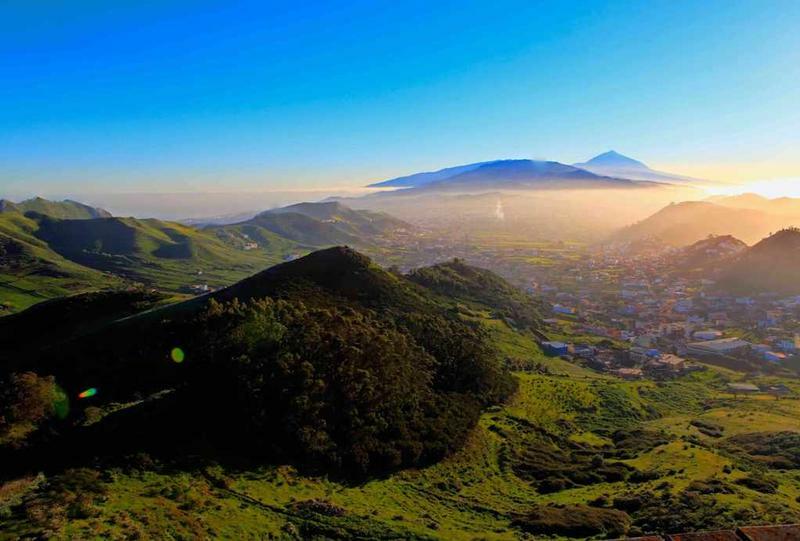 Tenerife is a magical Canary island that features the highest mountain of Spain – Pico del Teide. Due to its height of 3718 m, and also the shape of a nearly perfect cone, it is considered one of the most beautiful volcanoes in the world. It started to form about 150.000 years ago by the Earth’s vast forces, when the volcanic explosion created a large caldera of about a 2000 m height and a 20 km diameter. Although the Teide volcano’s activity is not so intense, it is better not to underestimate the power of this mountain. The most serious volcano eruption produced an extensive damage in 1709 when Garachico, the most important island’s seaport, was completely destroyed. The most recent volcano activity was registered in 1909, producing a 5 km long lava stream. 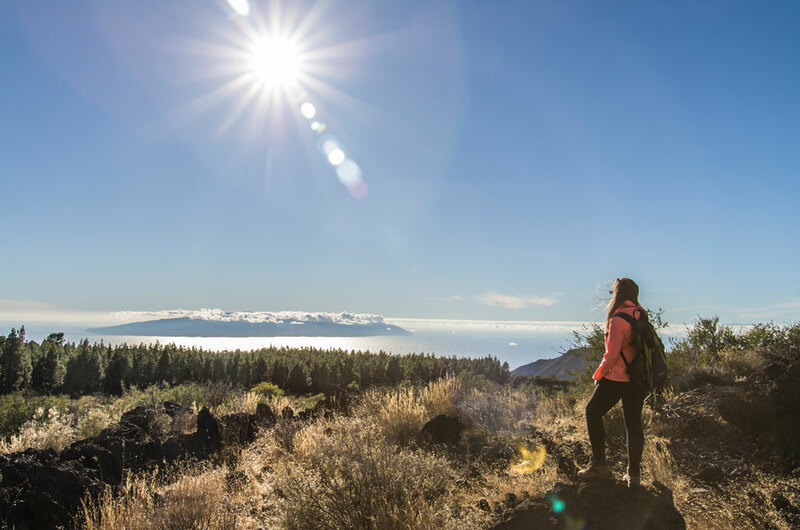 Since that time Teide has remained hibernating, so if you are planning your Tenerife holidays, don’t loose this opportunity to explore its amazing original landscapes. One of the best ways to explore this volcanic peak is to go with a local guide from Canaventura. If you want to experience a real adventure, we can highly recommend this travel agency. The Canaventura team has its own philosophy focused on the ecotourism, rural activities and local traditions. The team is made up of several professional guides who know well the terrain and culture, and are fluent in a wide range of foreign languages. So no wonder the tourists choosing their services come from all over the world. These professionals demonstrate their expertise in every aspect of the trip, passionately sharing with their audience the extensive knowledge of flora, fauna, agriculture and local traditions. After the Canaventura guides finish to pick up all the members of the crew from their hotels, we are ready to continue our fantastic trip to the UNESCO World Heritage – National Park Teide. Your guide will show you the most impressive volcanic forms, lava streams, and unique flora and fauna species. After the initial acclimatization to the reached altitude you will be able to go by the cable cab to “La Rambleta” peak situated at an altitude of 3,550 m. There you can enjoy a cup of coffee and a wonderful view of the panoramic Tenerife landscape. Your exploration of the “moon planet” will take about two hours, although it does not cover visiting the very top of the volcano. To do that you should prebook the cable cab in advance together with a special permission for a walking tour to the highest point of the mountain. Teide’s peculiar and desolate volcanic landscape appealed to the famous American filmmaker S. Kubrick, which chose it for shooting some of the scenes for his famous movie “2001: A Space Odyssey” released in 1968. 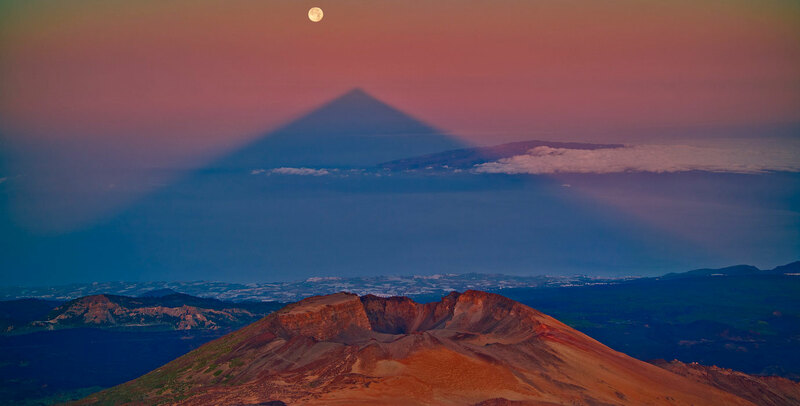 No wonder the idea of the moon walk suits Tenerife island perfectly. Be it in the evening or in the morning, the magic experience is guaranteed to its visitors as the shadow of the volcano Teide, projected by the light rays to the sea of clouds, reaches a length of 200 km creating so the longest shadow in the world. There are a lot of transportation options in the island of Tenerife, as there are many buses and taxis. However, if you want to explore the place and have an adventurous time, then you might as well be able to drive. So why not to choose a cheap car hire service and forget the problems? Let me guess, you are probably wondering, how can I bring my car on a holiday? The answer is quite simple, you don’t need to because we have a rental service with all kinds of cars from Mini, Standard, Special, Economic, Luxury, Compact and many more; you can rent a car of your choice once you have the driver license and enjoy the adventures you are planning to have here at a cheaper price. 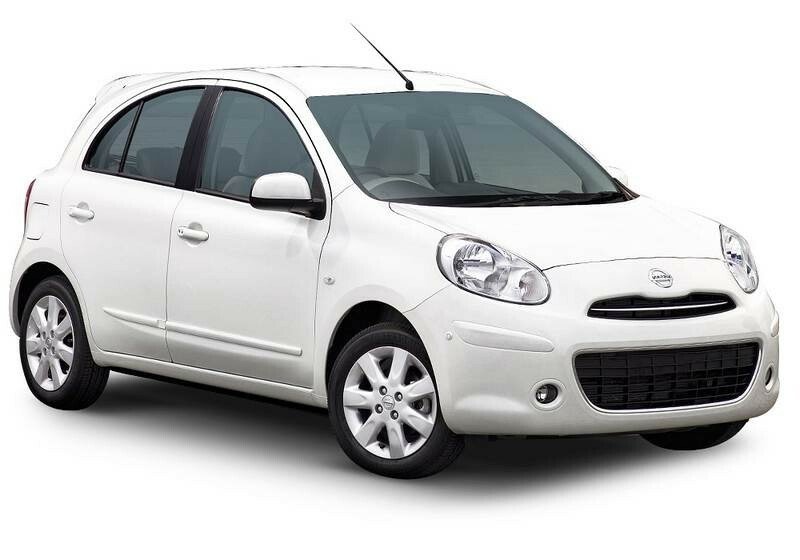 We have different types of mini cars such as Fiat Panda, Nissan Micra, KIA Picanto, Dacia Sandero, etc. These types of vehicles mostly have 5 seats, 5 doors, air condition, stereo, automatic windows and a power steering. They also fall between the categories of group A and B, while some are automatic cars, most of them are not. Our compact cars includes VW Golf, Renault Captur, Smart for four, Nissan Juke, etc. These vehicles have 5 seats, 5 doors, air condition, setreo, automatic windows, automatic transmission. Most of them have a GPS that will guide you to anywhere you want to go within the island. 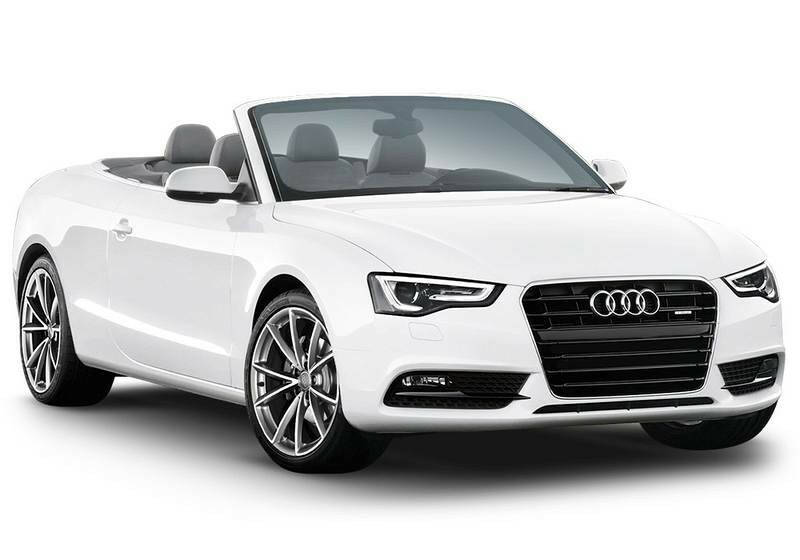 Their groups are usually between D and E.
Go luxury with our luxury cars which inculdes BMW 200i Cabrio, Mercedes E 220/250, VW Touaeg Aut, Audi A5 Cabrio, and many others. These cars either have 2 seats or 4 seats, they have 3 doors, air condition, automatic windows, automatic transmission, GPS, power steering and setreo. Group 1/l is the category they fall in. Other cars like Audi TT Roadster, BMW Z4 Cabrio, SLK Cabrio Aut, Seat IBIZA aut, Polo Aut, BMW i118, Opel Vivaro, Opel Zafira 7P, Chevrolet Orlando Aut, VW Tiguan, and more are all part of our Standard, 7+ seats, Intermediate and Economic cars. They all have different features but will please and satisfy your need. These cars will help you get to all of your destination this holiday and will cost you less than what you will spend on Bono bus ( bus tickets) and taxi fares once you are on your holidays. For more information you can also check our cheap car hire models section. With Canarias.com you can rent cars for travelling around the Island or you can even rent a limousine or people carrier for special events which also includes weddings. We have a wide range of many high class cars for you. We also have the special luxury of having your own driver. The driver can collect you at any of the two airports in Tenerife or your hotel. We also do romantic trips including a romantic meal in a better fine restaurant, a bottle of cava and we even collect you from your hotel. This is perfect if you want to surprise your loved one with something romantic and there is nothing more romantic then a romantic drive in a limousine with a bottle of cava in the Island of Tenerife. We also do transfers for weddings. We can make your special day more memorable with a limousine and a chauffeur. We have a punctual and impeccable service and we also have a special service for the bride which includes a red carpet for her to walk on. We have the most luxurious cars in our fleet to be driven around the Island with; this includes a Audi A6, Audi A8, Mercedes Benz Class V, Lancia Thema and many more. Our staff is very professional and punctual and they are very well trained drivers. We can pick you up at your hotel or at either airport and we can drive you back there as well or if you don’t want a driver you have the option of collecting it from any of our offices around the Island or we can drop it if at your hotel which you are staying at. We hope you have a good vacation and enjoy your stay with Canarias.com. Visiting the Island in a cabriolet is a special experience.. 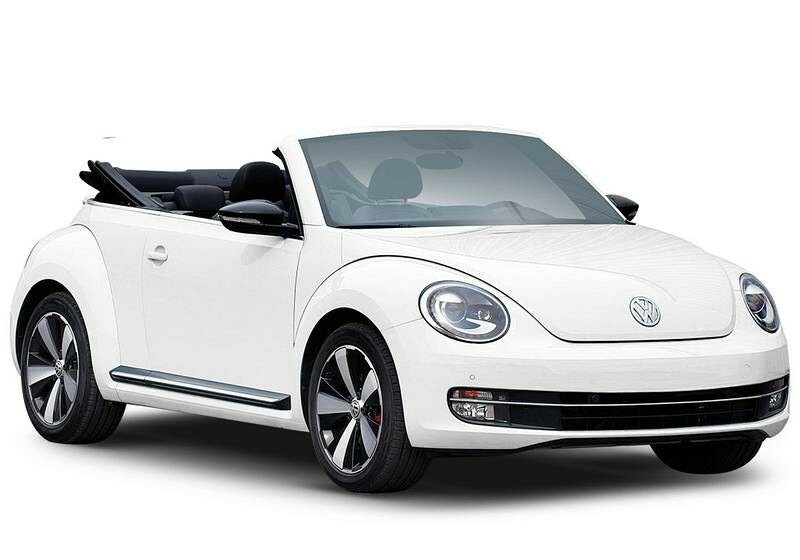 But a Volkswagen Beetle? Where could you go wrong, with the fresh modern body and interiors you would definitely have an unforgettable experience and to make it even better, we have automatic models available in all of our offices situated around the Island! It is a 3 door model, with four seats, electric windows, air conditioning and power steering control or automatic transmission. With its stylish and modern interior it will be like sitting into your own vehicle at home. Don’t have to worry about collecting the vehicle; it can be collected on arrival in either of the 2 airports in Tenerife or even in any of the hotels that are listed on our website! If you are unsure on how the collection works, please check out our Car Hire Website: http://carhire.canarias.com/. The feature of collection at either airport or hotel is to make your trip more enjoyable and stress free! This model would be perfect for an excursion around the Island, and because you would have rented it yourself, no need to be following anyone else’s times, or sitting on stuffy busses! 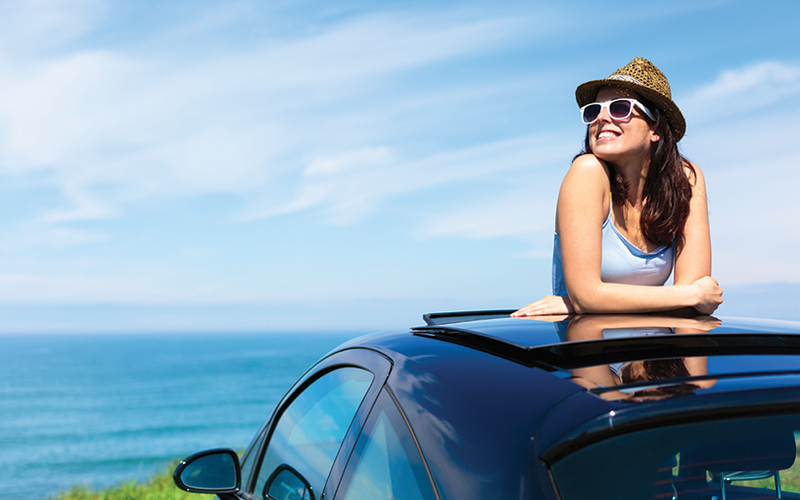 With the convertible roof it makes it possible for you to enjoy the fresh air and the view of the Island while in the comfort of your own vehicle. This vehicle is also the perfect model for you if you just want to go on an evening drive and feel the sun hitting your face, the fresh breeze in your hair and smell the ocean nearby. Don’t worry about the price too much! To rent this car out for one week, we have the very low price of just €326 this season. 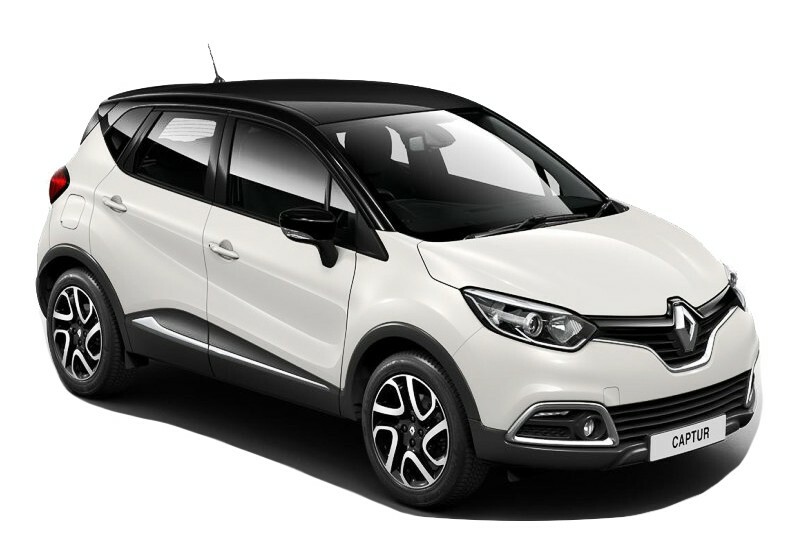 If this is not affordable to you we also have a wide variety of other cars available on our website so feel free to check it out and find one that suits you! So you’ve booked your holiday in Tenerife North, you’ve got a road map and you’ve bought the sun cream. Now what? 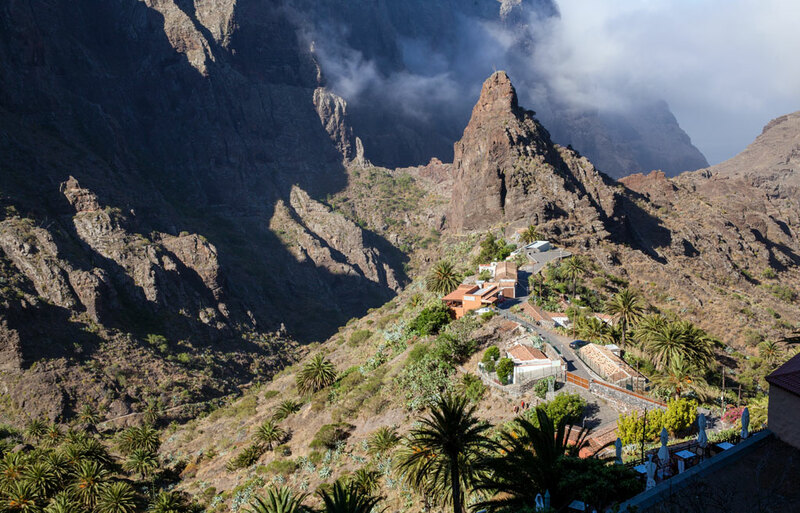 As any savvy holidaymaker knows, there is plenty more to Tenerife than meets the eye. So why not hire a car and head out to explore everything that this wonderful island has to offer? For starters, you can head to our homepage and search for http://tenerifecarhire.com/ quotes. That will give you a good idea of costs for car hire – and the sooner you book, the better it is for your pocket! Head to Playa Jardin. 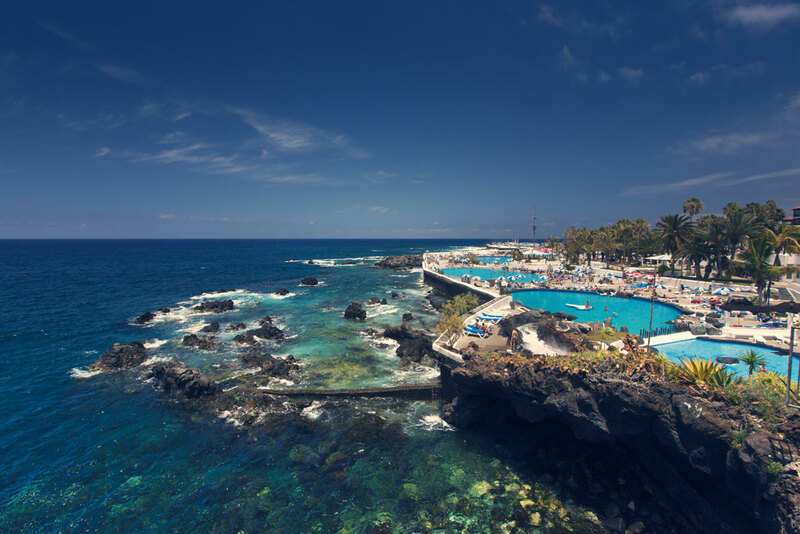 It’s a popular destination near Puerto de la Cruz with a fantastic black sandy beach – park up and enjoy a walk along the promenade. Visit Punta Brava village and enjoy its quaint, twisting streets and authentic charm. Drive along the northern shores, stopping at lovely Canarian villages like Tejina, Bajamar and Punto Hidalgo. Wander around the area, enjoy the view, take some memorable snaps and dine on sumptuous local cuisine. Visit La Orotava and discover its winding streets and charming shops and restaurants. Take a day trip to Loro Parque. It might seem like the obvious place to visit, but this popular wildlife park is a huge hit with visitors of all ages – especially the little ones! Get up close and personal with wonderful creatures great and small, like primates, dolphins and rainbow-coloured parrots. Whatever you decide to get up to on your holiday in Tenerife, hiring a car is probably the best way to help you enjoy the island. After all, you’ve got the added benefit of flexibility to help you get out and see whatever you want – near or far, night or day – without the worry of finding or missing the local transport. So, what are you waiting for? 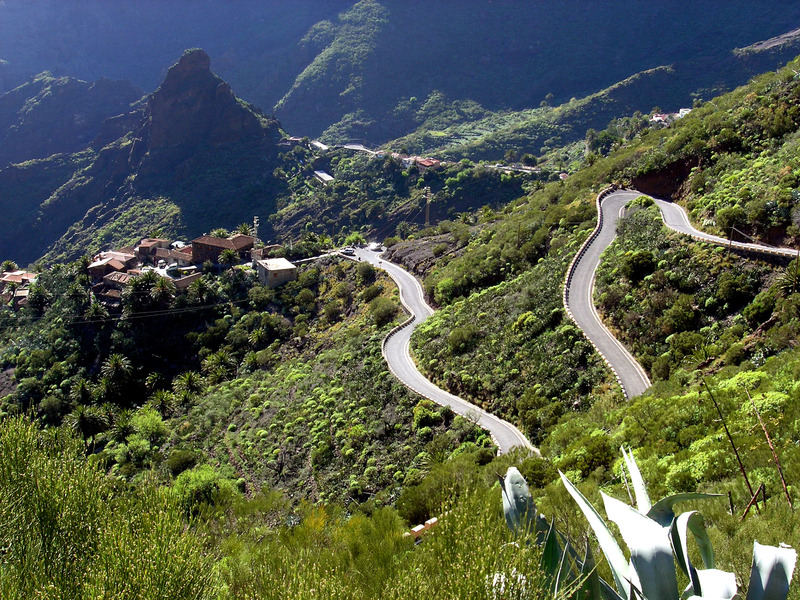 Hire a car and enjoy your holiday in Tenerife North to the full!